These new Joy's Life stamps are so much fun! I am having a great time pairing them up with my Cricut library! This time I used the 'I love you, honey' stamp from the That Tastes Punny set. 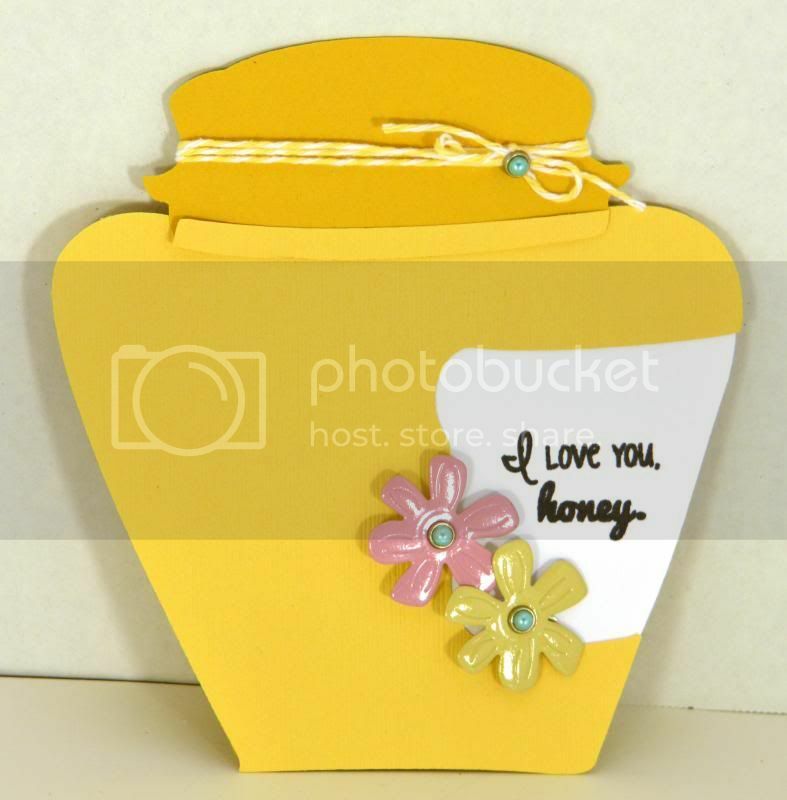 I paired it with a honey jar shaped card! This shape is actually a cookie jar from the Savory cartridge. I used Bazzill cardstock, Clearsnap ink, Eyelet Outlet brads, and Twinery twine.